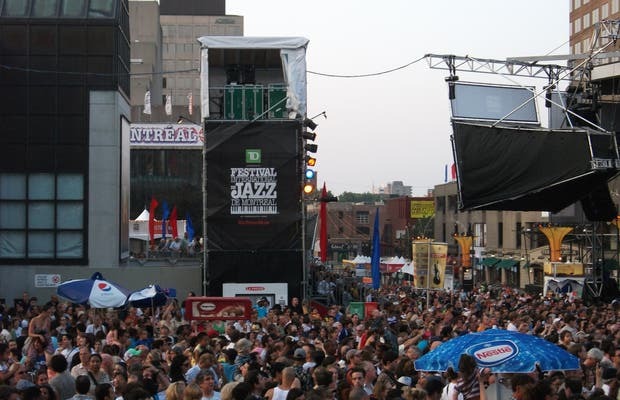 The Montreal Jazz Festival takes place from San Juan to mid-July. In the Place des Spectacles Quartir there are concerts every afternoon for three weeks. Some concerts that have less "cache" are free but you need to buy tickets for the best known bands. If you are interested, check out the website as it lists all of the artists who are visiting the festival.